Shia Labeouf Motivated - Whatever it is, he tells you to follow your dreams and "do it"
My husband showed me this one day when I was really stressed out about something. 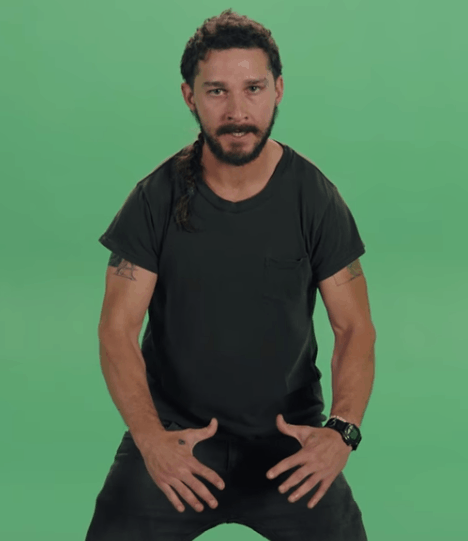 I don’t even remember what it was I was stewing over but I watched Shia Labeouf’s video on getting motivated, laughed hard and decided to “do it.” Now I watch this video over and over again when I need a little reminder. Honestly, sometimes I watch it several times in one day. Other times I don’t watch it for weeks. But I always have it in my arsenal of great motivational items for when I embark upon something that is challenging or way out of my comfort zone. I hope you can use it too. At some point in your life, you are going to get stuck on something. It’s pretty normal to let fear paralyze us and sometimes we just need a push. I watch this video whenever I feel that way. For one thing, it is hilarious so it takes the edge off immediately. More importantly, it is true. We just need to get to that place when anyone else would quit, and then we need to “just do it.” I really love this and hope you love it too. Please comment below and tell me what you think. Watch more great videos on Youtube and learn just about anything you want to know how to do. If you are looking to start a business, check out our business directory and find just the perfect thing! !